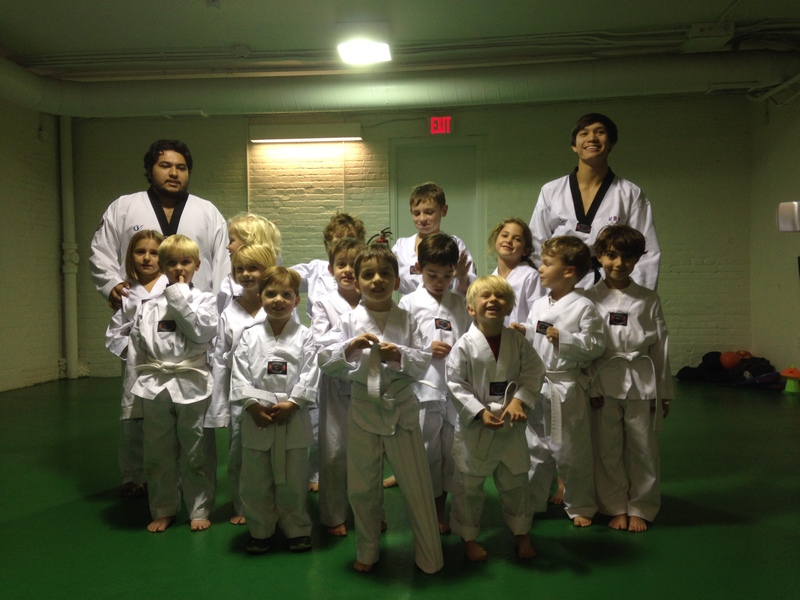 Flying Kick has brought Tae Kwon Do to Just For Kids LLC located in Georgetown. Just For Kids LLC is a family owned business that provides children with a safe environment to play and release energy in a positive way by engaging them in activities such as gymnastics, hip hop dancing, and now Tae Kwon Do. The program is taught by Mr. Eddy and Mr. Bo. Each has been teaching Tea Kwon Do to children for years. The program meets every Wednesday and Saturday morning. The program’s goals are to provide kids with traditional Tae Kwon Do knowledge, while providing a fun activity for all kids. Both the kids and the instructors have fun and are always excited to be there. Starting just 2 years ago we have grown to having over 40 students.